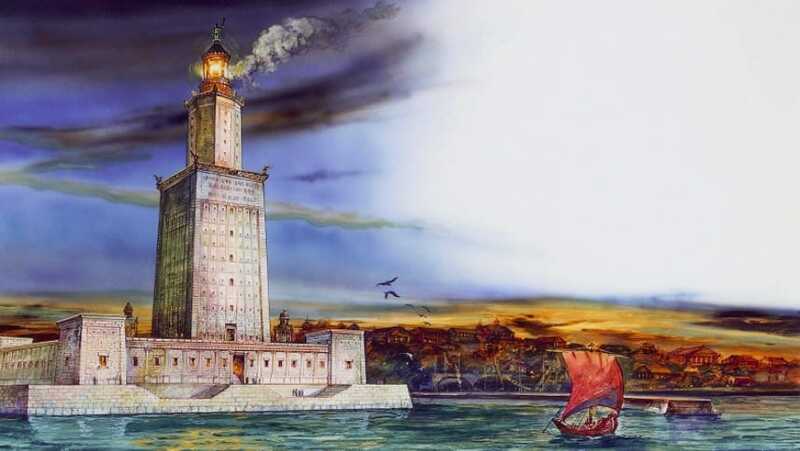 The Lighthouse of Alexandria was one of the Seven Wonders of the World and considered to rank among the most stunning and beautiful creations in history. There is so much that this lighthouse has brought us by way of research and discovery. It is sometimes known as the Pharos Lighthouse and was renowned for its beauty and architectural magnificence. We think it’s worth taking a look at this stunning ancient treasure and finding out as much as we can about it. Many of the Wonders of the Ancient World have passed into shadow these days, so we know very little about them. 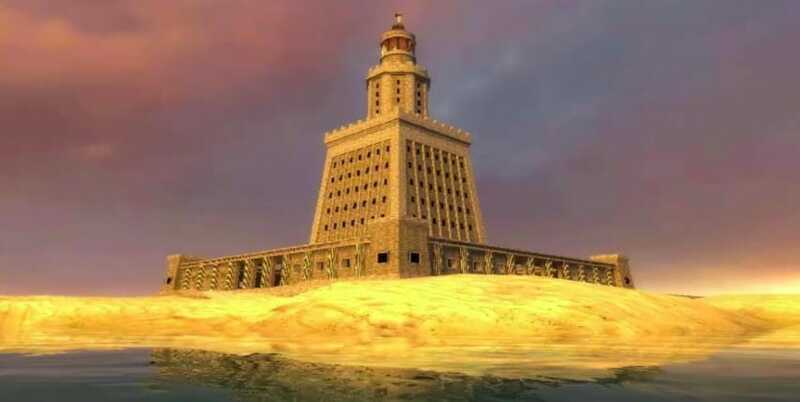 Well, we’ve been doing some digging, and these are a few of the cool things we discovered about the Lighthouse of Alexandria. The Pharos Lighthouse actually holds the acclaim of being the very first lighthouse in the world! It was designed and built over a 20-year period, and it was also one of the tallest man-made structures in the world at the time. It was constructed in the 3rd Century, following the death of Alexander the Great, and during the reign of Ptolemy. It’s amazing to think how much of an influence this structure has had on future lighthouses. As with most of the structures back in these days, the lighthouse itself was damaged by natural disasters. These structures were not designed to account for things like earthquakes, so the damage could sometimes be pretty extreme. In fact, there were three earthquakes, between 956 and 1323 AD, which caused a lot of damage to the lighthouse. It is believed to have been completely destroyed when the last remnants of it finally disappeared in 1480. Many of the Ancient Wonders died out pretty soon after they were made. In fact, the Lighthouse of Alexandria ranks as the third longest-lasting of all the Ancient Wonders. The Mausoleum at Halicarnassus is the second-longest serving of these. And, as you have probably have sussed about now, the Great Pyramids of Giza rank as number one. So, the lighthouse is in pretty good company when you think of it like that. It was commonly believed that there was a mirror inside the pyramid. A huge mirror made of polished bronze. It was believed that the purpose of the mirror was to reflect a large beam of light from the reflection of the fire. Whether or not the mirror actually existed is a moot point, but this would have made sense. Reflecting light from the sun to drive the intensity of the fire definitely works as an idea. This is one of the smartest and most elegant of the Ancient Wonders and helped to change the world in a lot of ways. There are so many different things that could have influenced the world, and this is one of the big ones. Think about how important lighthouses are these days, and the role they play – this was the first, and it set the benchmark.